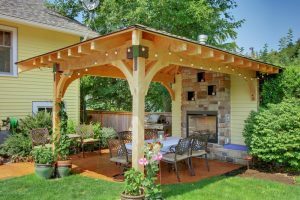 Many people have said that red will be a trend color in 2019. Well, we’ll see what will happen in this year. 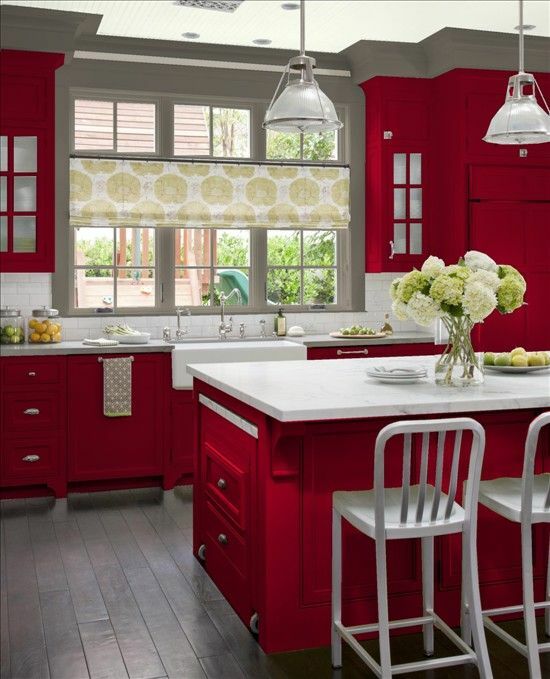 However, to prepare on the trending red, here below are some gorgeous passionate red rooms that you will love too. A welcome will be really passionate with red. It’s energizing and warm. 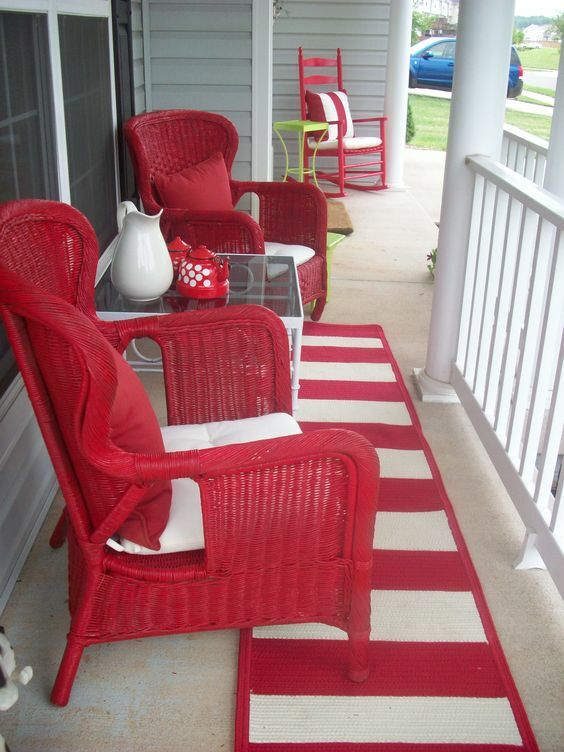 In this porch, the reds take place on the chairs and rug. 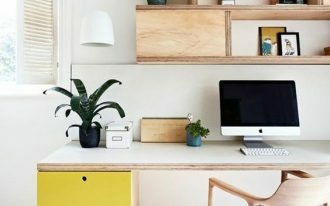 While the previous one uses red on the furniture, this one here uses it for the wooden floor and door, and let the furniture mostly in white. 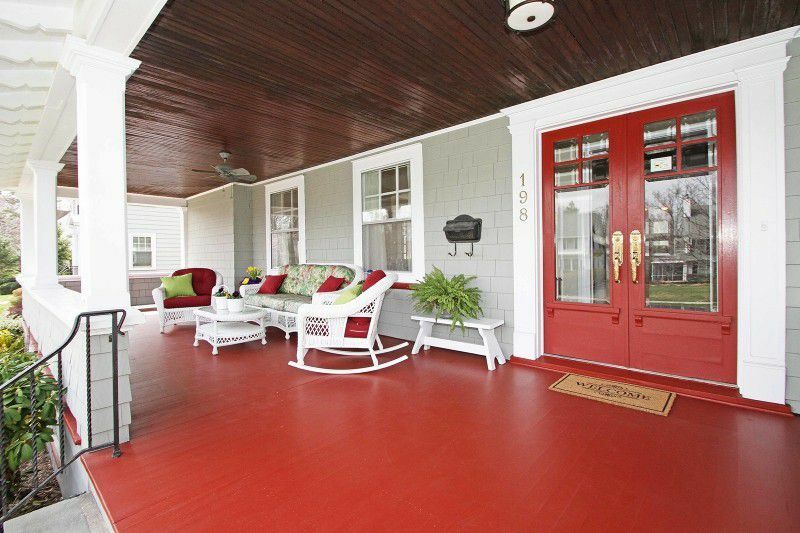 However, with large porch, the red floor looks beautifully large. 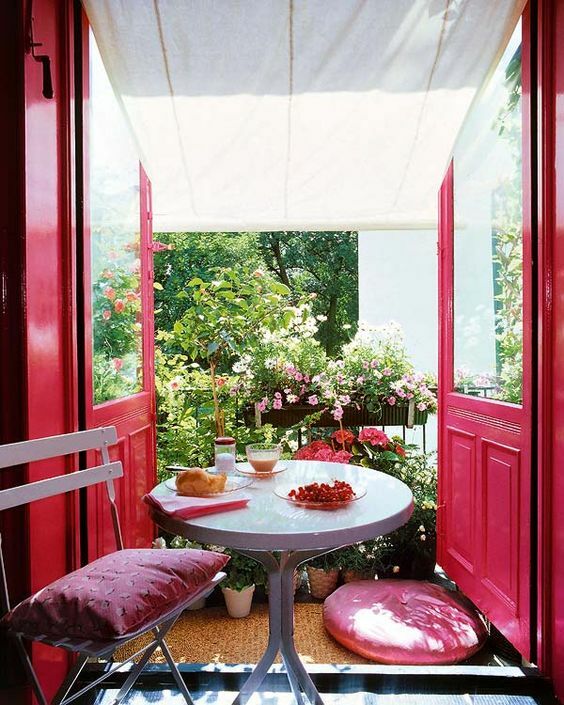 Similar to the previous one, this balcony also uses red door to depicts a strong impression. 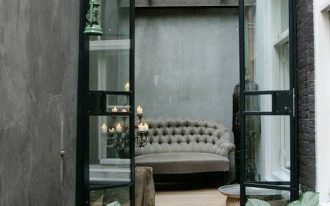 And even though it’s only the door, it has pulled the attention the best. 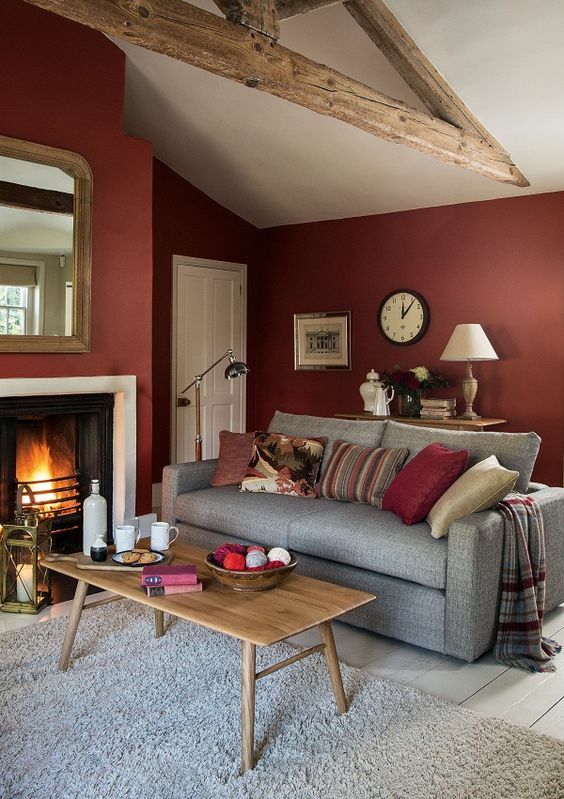 As red can be tricky with its strong look, it is safe sometimes to go to the warmer side, the dark maroon as seen in this living room here. With dark red on the wall only, the room has looked so red. 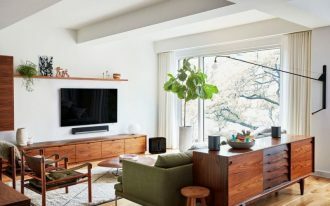 And as it’s quite muted, it looks good with the modern vibe of this room. 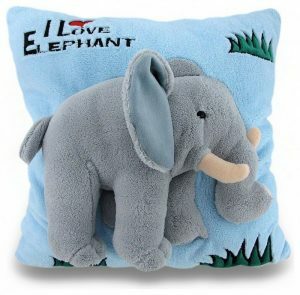 As it’s difficult to let the burning red into the bedroom, this one here does not let go of red and putting it into the items that can be changed: the pillows and curtain. And it is enough to bring out the red vibe. 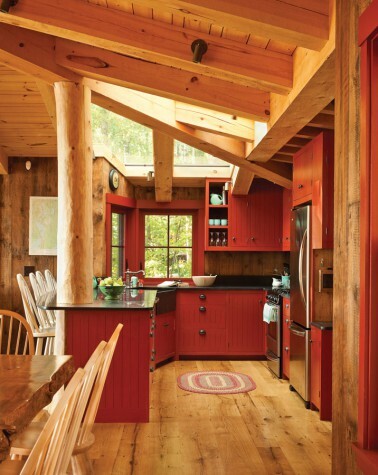 Painting a kitchen red is about how bold and brave you are to let it happen. And this one here is confident to see that red has brought energy to the kitchen. The beautiful red has covered all the cabinet on the bottom and upper. Accompanied with white as accent, red can’t be bolder than this. Similar to the previous one, red has rules this one in the entire cabinet and even window framed. 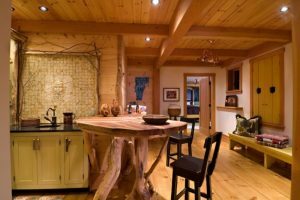 However, the strong rustic vibe from all the wooden beams, wall, and floor has humbled red to look warmer. 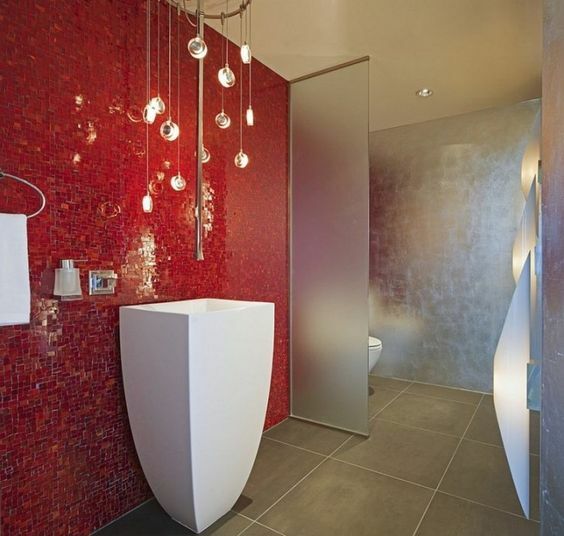 Red color can come in the bathroom in so many form. 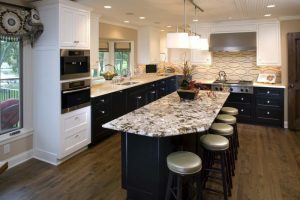 It can be the tiles on the floor, wall, backsplash, toilet, sink, or many other. And this one has red on the accent wall all in mosaic tiles. This tiny tiles has brought unique reflection of light, especially with this beautiful unique lighting fixture. Red has been a great friend of luxurious look as it looks good together with gold and crystal. 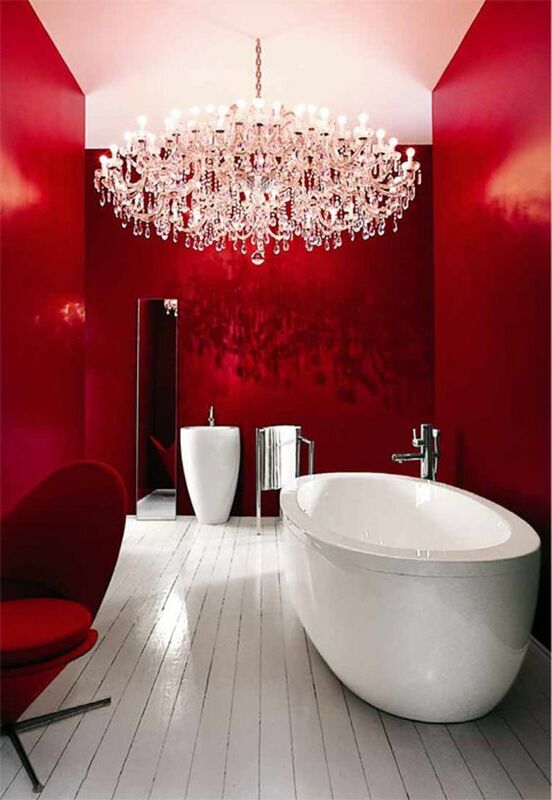 And this one here has befriended with crystal chandelier that looks immensely stunning in this bathroom with red glossy wall. 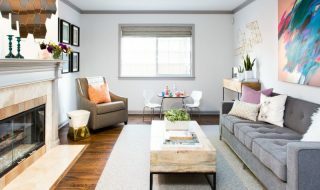 It is a happy thing to have a private corner in the house where you can read or talk to your friends in more comfortable and private ambiance. 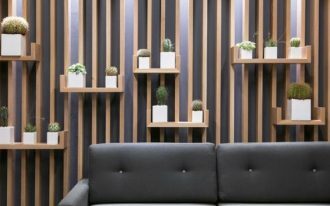 Decorating it with red does not mean you have to change everything to look boldly red. 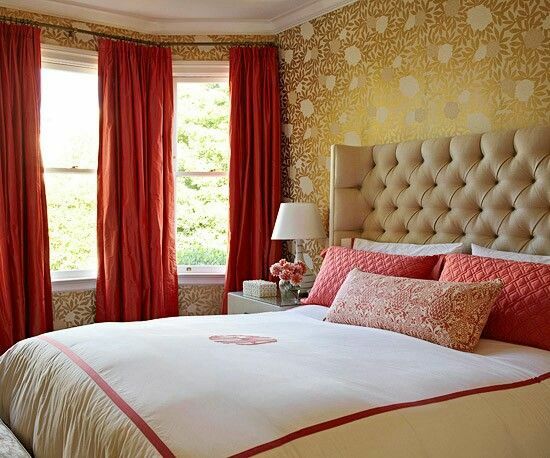 This one here obviously only change the sheets on the cushion and put the rug on the floor to have red cool vibe.